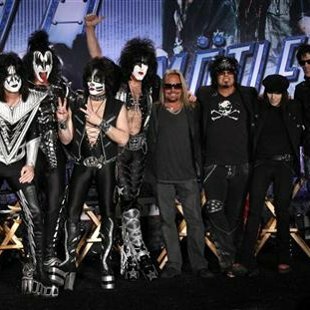 Legendary heavy metal rockers KISS and Motley Crue will make a stop at Alpine Valley on September 8th as a part of their summer tour aptly named "The Tour." Though I don't like to use the word "epic," this show will certainly be epic. Between the costumes, the pyrotechnics, the makeup, and the fact that these two bands have not played together since...since...since a very long time ago, this show will certainly go down in the history books as legendary. You won't to miss KISS and Motley Crue at Alpine Valley this September. 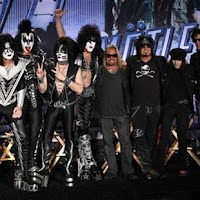 Ticket King Milwaukee will have KISS and Motley Crue tickets when they become available. Speaking of Alpine Valley, this year's lineup at Alpine Valley is shaping up to be much plumper than last year's. Last year, the outdoor music venue only had two shows: Jimmy Buffet in June and Pearl Jam in September. This year, both Phish and the Dave Matthews Band are playing two-night shows. I'm guessing Jimmy Buffet will also be added to this year's lineup at some point. If you've never been to Alpine Valley, you must go! It's a great venue for outdoor music and there is a lot of space in the parking lot to tailgate before the show. I've never been to an Alpine Valley show that I didn't like.